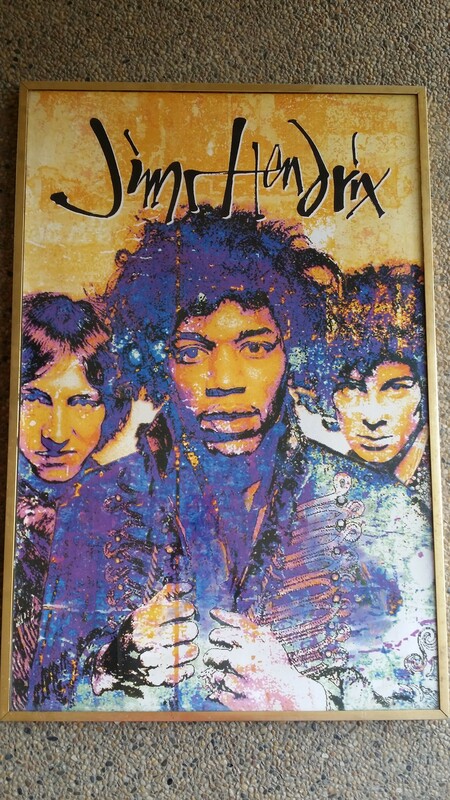 this Jimi Hendrix Poster was sold to my junk shop about 2 month ago. A regular customer of mine who usually brings old and vintage stuff went to my shop early in the morning. He asked me if I also buy posters. I said to him that it depends on the subject of the poster and its condition. He the said that he will come back later in the afternoon with the poster. When I was about to close my junk shop he brought 4 differet posters. One of them was a Jimi Hendrix Poster. He wanted to sell the 4 posters individually but I wanted to buy them by lot. So we haggled for a few minutes until we agreed on a price that we were both comfortable. After I paid him i asked him were he got the Jimi Hendrix Poster. He told me that it came from an old house here in our area and the previous owner was a retired US Navy. The one who sold it to him was the son of the US Navy and the reason why he was selling the stuff in their house was because they were going to migrate to the United States to be with his father. The son also told him that they had the poster since he was still a kid and the was tge early 1970’s. 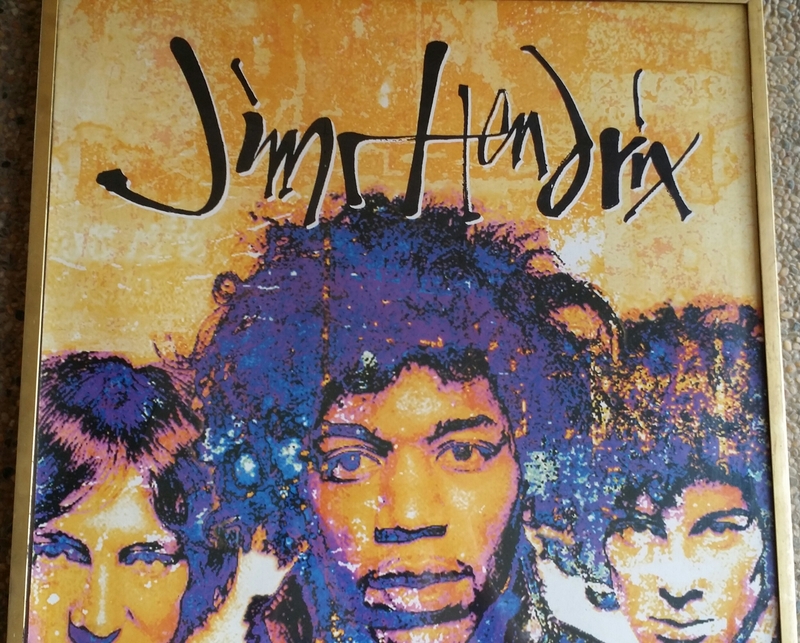 I instantly loved the Jimi Hendrix Poster because of how the artwork was done. As you can see it is really colorful and the way the color blends with each other is beautiful. 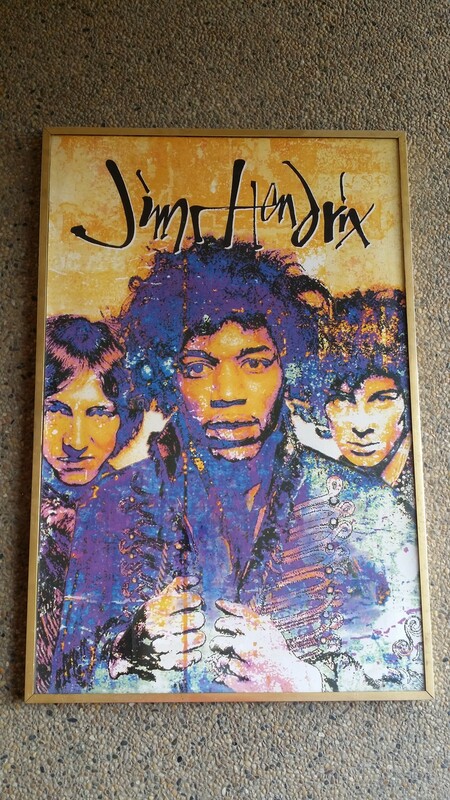 The size of the Jimi Hendrix Posters is 36 inches in height and 24 inches in lenght. It was also framed and because of that the poster was really preserved well and you would not think that this poster came from the 70’s.